8 April, 2019 The United States Department of Agriculture’s (USDA) Animal and Plant Health Inspection Service (APHIS) confirmed the presence of virulent Newcastle disease (VND) in a small flock of pet chickens in Coconino County, Arizona. This is the first case of VND in Arizona. ECDC 8 April, 2019 Campylobacteriosis is the most commonly reported gastrointestinal disease in the EU/EEA. • The number of reported deaths attributed to campylobacteriosis increased from 62 in 2016 to 72 in 2017. Virology 531 (2019) 203-218 1 April, 2019 Newcastle Disease viruses that are virulent for chickens and cause ND are not commonly isolated in the U.S.
Mullaney et al (2019) Epidemiology and Infection 31 March, 2019 A study, published in the scientific journal Epidemiology and Infection estimates the burden of foodborne illness (FBI) caused by five major pathogens among nondeployed US Army service members from 2010 to 2015. The US Army is a unique population that is globally distributed, has its own food procurement system and a food protection system dedicated to the prevention of both unintentional and intentional contamination of food. 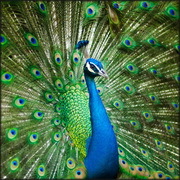 30 March, 2019 Hundreds of peacocks at breeding centres across Punjab have died due to the Avian influenza H5 virus. 27 March, 2019 This report is based on data for 2016 retrieved from The European Surveillance System (TESSy) on 15 March 2018.
of foodborne outbreaks in the EU/EEA. • The EU/EEA notification rate was 20.4 cases per 100 000 population. 26 March, 2019 The US Department of Agriculture (USDA) has made an additional US$45 million available to stop the spread of Newcastle disease (ND) in southern California. This funding will allow APHIS and the California Department of Food and Agriculture (CDFA) to strengthen their joint efforts to stop the spread of this disease and prevent it from affecting additional commercial flocks. 16 March, 2019 The top nine retailers across the UK have published their latest testing results on campylobacter contamination in UK-produced fresh whole chickens (covering samples tested from October to December 2018). 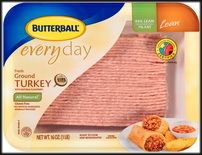 14 March, 2019 Butterball, LLC, a Mount Olive, N.C. establishment, is recalling approximately 78,164 pounds of raw ground turkey products that may be contaminated with Salmonella Schwarzengrund. 7 March, 2019 Microbiological Survey of Campylobacter Contamination in Fresh Whole UK Produced Chilled Chickens at Retail Sale (2015-2018) and presents antimicrobial resistance (AMR) data for a subset of those Campylobacter isolates collected as part of this survey. A subset (585) of the Campylobacter isolates was tested for AMR. 7 March, 2019 The FDA sent the owners of Gravel Ridge Farm facility a warning letter on February 12, 2019. Gravel Ridge Farms recalled more than 600,000 shell eggs in response to this outbreak. 2 March, 2019 Low pathogenic avian influenza virus was detected in a commercial poultry flock in Terndrup, Rebild - Denmark. On 28 February 2019, low pathogenic avian influenza H5 has been confirmed in a commercial poultry holding with organic laying hens. The layers were tested in accordance with the Danish surveillance programme for avian influenza in poultry. 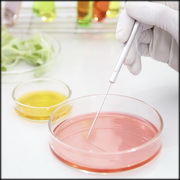 2 March, 2019 Zoonotic diseases, such as campylobacteriosis and salmonellosis, continue to build resistance against common antimicrobial drugs, according to a new report from the European Centre for Disease Prevention and Control (ECDC) and European Food Safety Authority (EFSA) - “The European Union summary report on antimicrobial resistance in zoonotic and indicator bacteria from humans, animals and food in 2017”. The joint report presents data collected from 28 EU Member States from humans, pigs and calves under one year of age. The authors say the report confirms the rise in antibiotic resistance already identified in previous years. 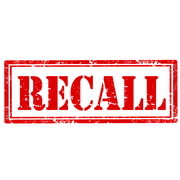 2 March, 2019 Divilly’s Ltd is recalling a batch of its Less is Best Premium Turkey Breast due to the presence of Listeria monocytogenes. 2 March, 2019 OUTBREAK INVESTIGATION (Update): PHAC has received reports of 61 cases of Salmonella Enteritidis illness in ten provinces linked to this active outbreak: British Columbia (4), Alberta (13), Saskatchewan (1), Manitoba (4), Ontario (22), Quebec (4), New Brunswick (2), Nova Scotia (5), Prince Edward Island (3) and Newfoundland and Labrador (1). 23 February, 2019 The Centers for Disease Control and Prevention (CDC) declared an end to its investigation of an outbreak of antibiotic-resistant Salmonella Infantis infections after confirming 129 cases in 32 states, including 25 hospitalizations and 1 death. EFSA 19 February, 2019 After several years of decline, salmonellosis cases in the EU have flattened out. EFSA scientists say that setting stricter targets for Salmonella in laying hens at farm level could help reduce cases of this origin by a half. 16 February, 2019 Samples collected from hundreds of dead penguins tested positive for Avian Influenza H5N8. This follows after about 250 dead penguins were discovered late December on Halifax Island situated about 10 kilometres from Luderitz. 15 February, 2019 CDC and public health and regulatory officials in several states are investigating a multistate outbreak of multidrug-resistant Salmonella infections linked to raw turkey products. Since the last update on December 21, 2018, 63 ill people from 24 states, and the District of Columbia, have been added to this investigation. As of February 13, 2019, 279 people infected with the outbreak strain of Salmonella Reading have been reported from 41 states and the District of Columbia. 107 people have been hospitalized. One death has been reported from California. 13 February, 2019 Brazilian food processor BRF recalled almost 500 tonnes of fresh chicken products due to salmonella enteritidis contamination, in a move affecting several key export markets in Asia, Africa and the Middle East. 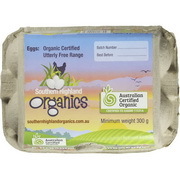 2 February, 2019 The NSW Food Authority have issued an urgent warning about salmonella contamination in some New South Wales eggs. 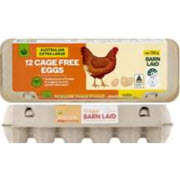 Consumers are being asked to check the stamping on their eggs. NSW Food Authority said they had been able to isolate the particular batch of eggs thanks to mandatory egg stamping required in NSW. 27 January, 2019 The Public Health Agency of Canada (PHAC) and the Canadian Food Inspection Agency (CFIA) are investigating a new Salmonella outbreak linked to raw chicken.As of January 25, 2019, 54 Canadians from ten provinces and three territories have become infected with Salmonella Enteritidis after consuming a frozen, raw breaded chicken product. None of the outbreak victims have been hospitalized in this latest outbreak. 20 January, 2019 Newly filed court documents reveal Milk & Honey served salmonella-tainted ‘short rib gnocchi’ to patrons during August of 2018, causing over 20 patrons to fall ill with salmonella poisoning, and the Metro Health Department to deem it an outbreak. 9 January, 2019 Newcastle disease was detected in a commercial layer flock in Riverside County. This finding is part of an outbreak in southern California that began in May 2018 in backyard exhibition birds.